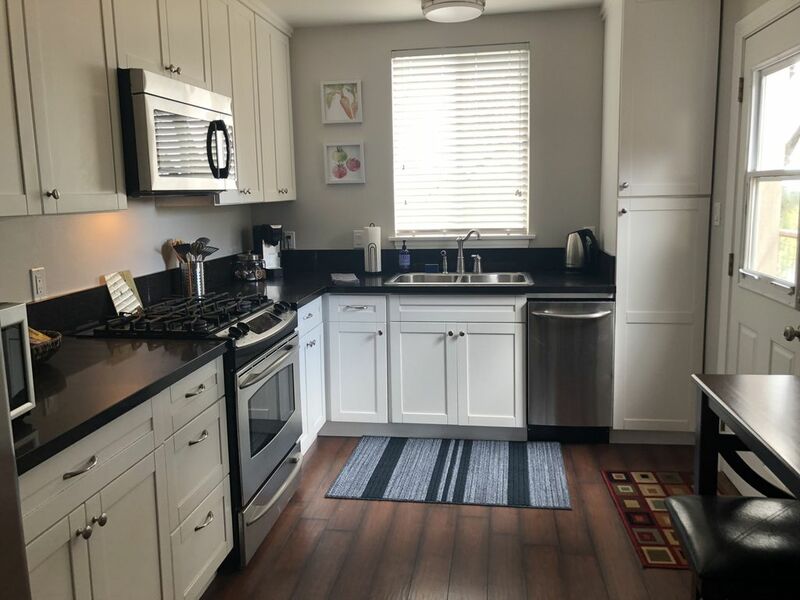 Renovated 900 sq ft 2 bedroom 1 bath fully furnished home nestled in the heart of the California's Gold Country and the Sierra Foothills. Stroll or take a short 1 minute drive to historic Old Town Auburn. Enjoy scenic views with beautiful sunsets from your deck while you barbeque. Close to the Placer Wine Trail, American River Canyon, Amtrak Capital Corridor train station with daily round trips to the Bay. Conveniently situated halfway between San Francisco and Reno right off of Interstate 80. When we decided to become a host we asked ourselves what kind of a place would we want to stay in. The answer to that question is represented behind the front door. Large, comfortable open living room with quality furniture. A large screen television with HD channels, Bose surround sound, high speed internet were all priorities. A spacious kitchen with sleek lines and high end appliances was a must. Bedrooms with the finest mattresses available, luxurious pillows and cozy linens for a relaxing night of sleep were required amenities. A spa quality shower and bathroom also topped our list. All this is packed inside this lovely home in a safe and peaceful neighborhood. We have strived to deliver a home you will want to return to many many times and one that will set the bar high for what an AirBnB should be like. Our goal, as hosts, is to provide you with all you should need to have a relaxing stay. toilet, shower, Full bathroom includes vanity and shower stall. Keurig single cup with pods, single serve creamer available. Full kitchen stocked with basic essentials. 2 person bar height table in kitchen, 5 person pub table in family room. What a lovely stay. We were in the area for a wedding, but we also were able to walk to old town and get a nice hike in at Hidden Falls. This VRBO is such a nice home base with so much thought put into all the details for a comfortable stay. Thank you so much for your hospitality! Very clean and comfortible. Close to Old Town. Great stay! Everything we needed and more. We will definitely rent here again if back in Auburn area. Location is amazing for many venues in town. Excellent. We were really impressed how you thought of every little detail. We loved your house and will definitely be back. We've stayed at multiple properties in the area, and all have been great. However, our experience at Katie and Kevin's place is our favorite. Conveniently located, well priced, updated very cozy, every guest need anticipated. We would definitely stay again. The snacks and wine were a great touch. The place was super clean and the kitchen was well stocked with all basic things. Kevin and Katie are in top of the game with this rental. When in the area we would certainly stay again.